Gravity Rush comes with much creative direction from Keiichiro Toyama who directed the Siren series, not to mention the first Silent Hill. It’s promising enough that Gravity Rush sees Toyama venturing out of the horror genre and into something as fantastical as this. I haven’t had high expectations for gravity manipulation games (eg. Inversion), let alone games with floating characters (Psychic Force 2012, anyone?). 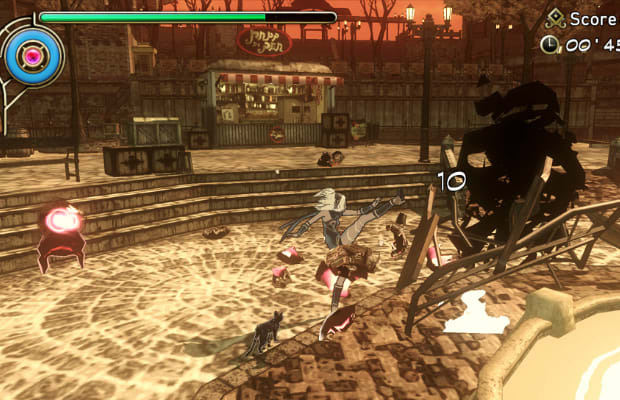 Yet maybe Gravity Rush sets itself apart by giving the player a fair sense of control over gravity. With a well-selected color palette, the game’s visuals pop a whole lot more than your average cel-shaded game. It’s further punctuated by a narrative told mostly through interactive 2.5-D manga panels that can be manipulated using the back touch panel. Rounding out this complete package is the combat, which allows for basic attacks, combos, and gravity-based offensive moves. A meter prevents you from being overly reckless with your power but Gravity Rush at least offers a promising character upgrading system. Congrats Sony; has there ever been a launch line up before where the top three games are original IPs?